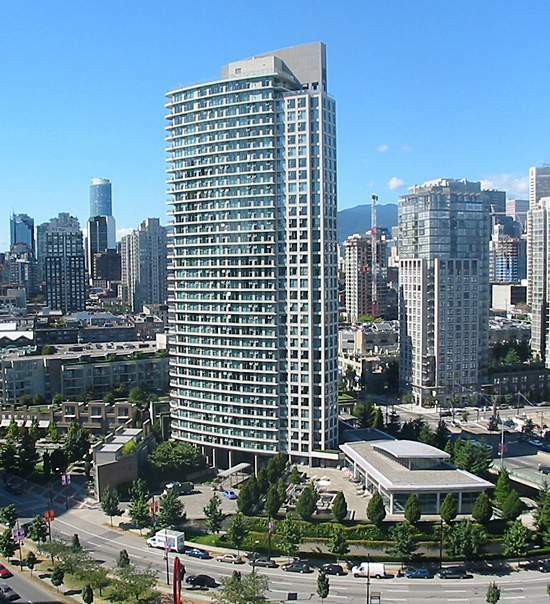 Landmark 33 at 1009 Expo Boulevard, Vancouver, BC, V6Z 2V9, Marina Crescent Neighborhood, 244 suites, 39 levels, built 1998. Imagine having the beauty of Vancouver's most remarkable recreational waterway at your front door and the excitement of Old Yaletown at your back. The Landmark is part of picturesque Marina Pointe which will house a working marina. Marina Pointe's seawalk provides residents with panoramic views of False Creek and the catamarans, kayaks, dragon boats and brightly coloured Aquabuses which ply the waters of the inlet. Yet downtown is so close to Marina Pointe Neighbourhood, you can walk or cycle to work. And BC Place, GM Place, Library Square, the QE Theatre, Yaletown, Chinatown and robsonstrasse are also nearby, to tempt you with memorable morsels, big-name sports, live entertainment and unique shops.